I know you may have been very excited to spend the upcoming 2 long weekends on August 19-21, and August 26-28, 2017! Time to take a break again, and recharge your batteries! 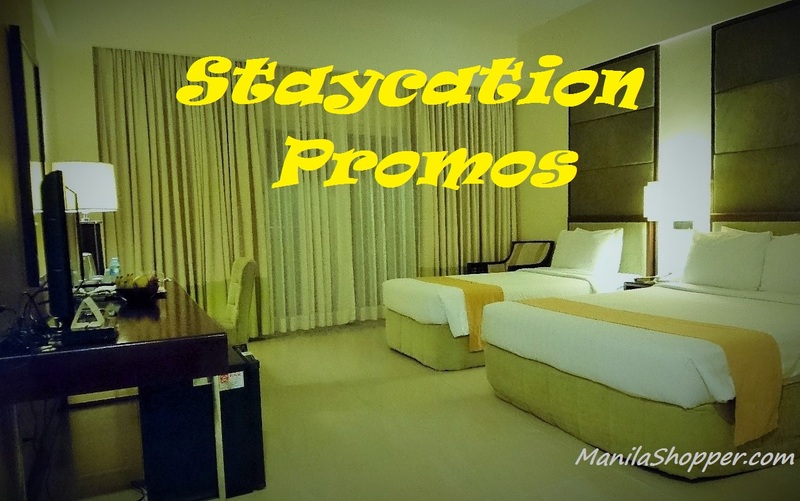 If you're not planning to go out of town, here are Staycation Deals and Promos available in Metro Mnaila and Clark. 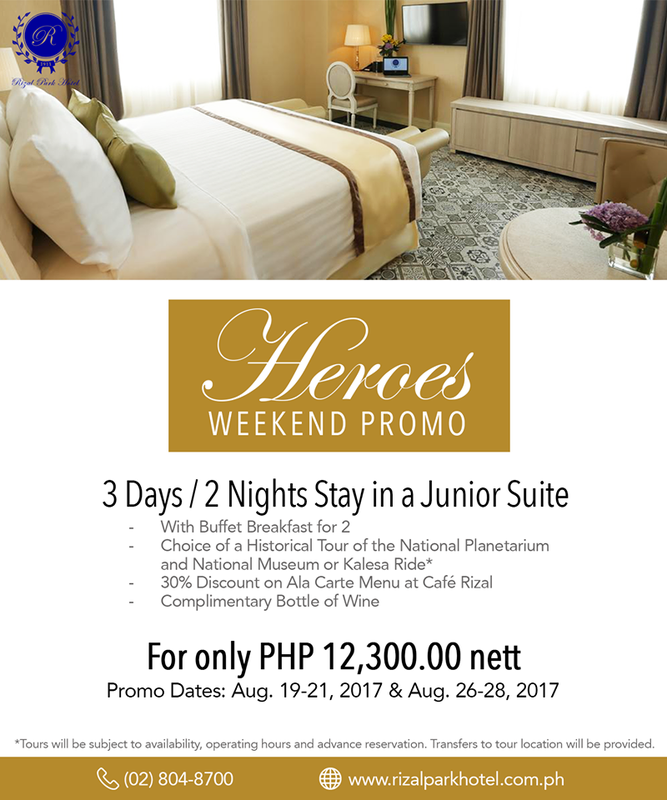 Experience history in style at the new 5-star Rizal Park Hotel (formerly The Army Navy Club) this August with their Heroes' Weekend Promo. 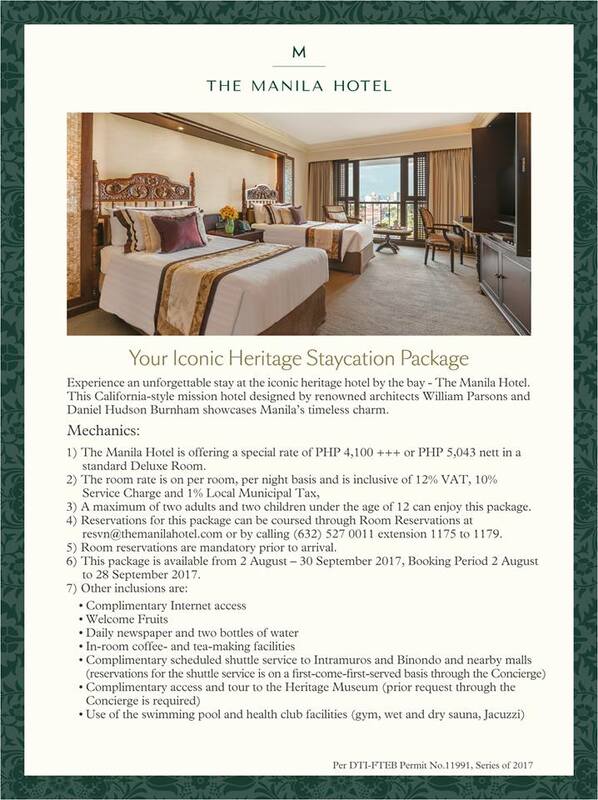 Take the time to relax through a 3-day, 2-night stay in our luxurious Filipino-colonial styled Junior Suite from August 19-21, 2017 or August 26-28, 2017 for only P12,300 net, while enjoying a tour of Manila's landmarks and other exciting offerings from Rizal Park Hotel. Spend an ideal getaway with the Save the Day Long Weekend Promo Room package from Diamond Hotel for as low as P4,500 net per night when you book HERE. Make this long weekend an essential time with family to create more wonderful memories. Applicable for local residents only for stays on August 19-21, and August 26-28, 2017. For more info, please check diamondhotel.com/promotion. 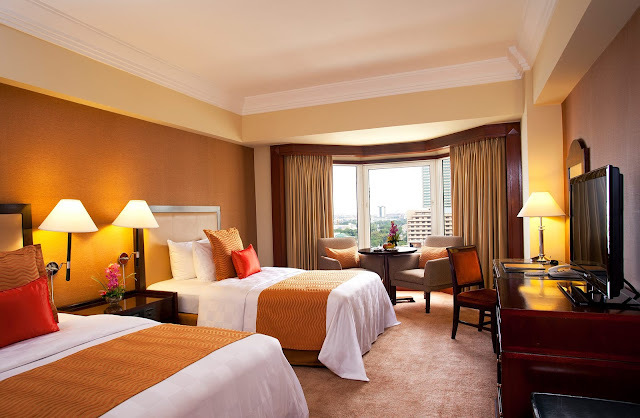 Treat the family to a well-deserved staycation at the AG New World Manila Bay Hotel. Book a Superior Room from August 8 to 28, 2017 for only P4,888++ and enjoy P1,000 worth of dining credits at The Fireplace, Li Li, or Market Café; daily buffet breakfast at Market Café; early check in and late check out; and 20% off at the Spa at Club Oasis. For inquiries and reservations, you may visit manilabay.newworldhotels.com/promotions/long-weekend-getaway/ or call 252 6888. Take the break you deserve. 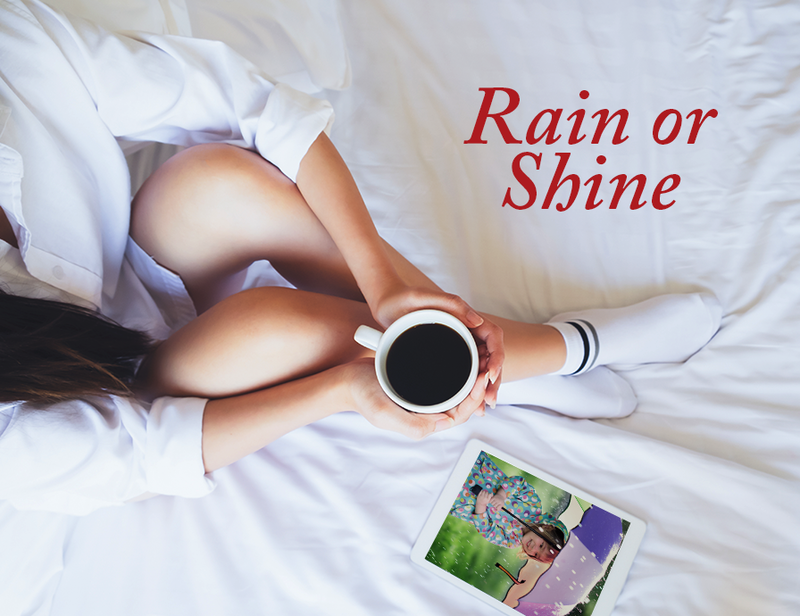 Book a Rainy Retreat at Crowne Plaza Manila Galleria! For only P4,399 net, have a relaxing overnight stay at the heart of the metro inclusive of Buffet Breakfast for two (2) at Seven Corners Restaurant, and Internet Access. Reservation is open until August 15, 2017 ONLY. Stay period is from August 1 to August 31, 2017. This promotion is valid ALL DAYS of the week. General hotel terms and conditions apply. Call 633-7222 or email cpgm.reservations@ihg.com and book your well-deserved break today! 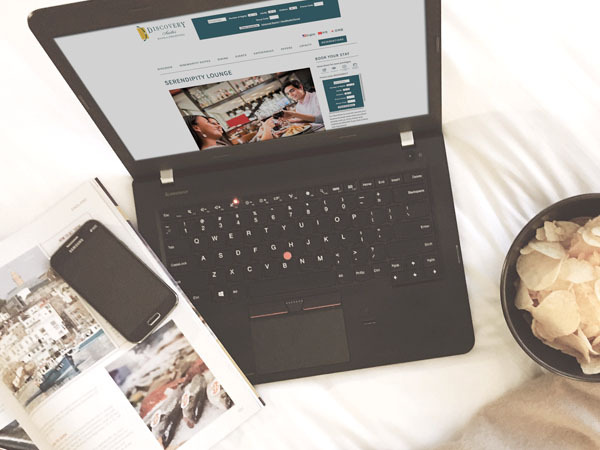 Experience a relaxing RAINY DAY RETREAT at Holiday Inn Manila Galleria! 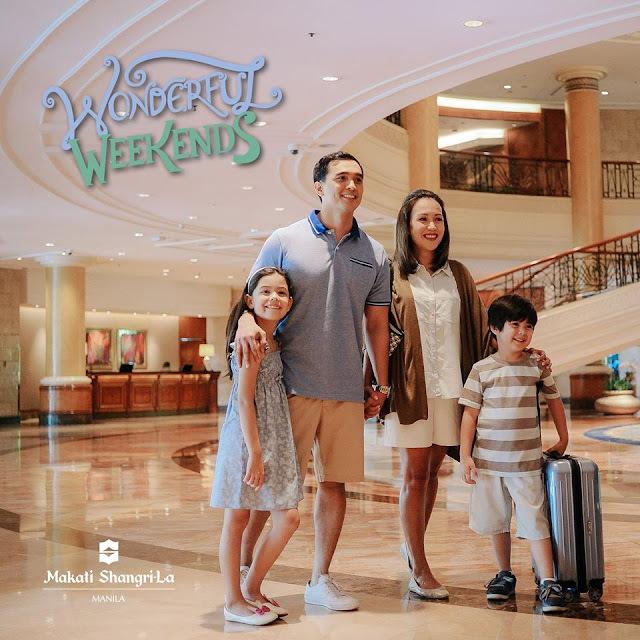 For only P3,399 net, have a cozy family staycation at the heart of the metro inclusive of Buffet Breakfast for two (2) adults and two (2) kids at Fab Restaurant*, and Internet Access. Reservation is open until August 15, 2017 ONLY. Stay period is from August 1 to August 31, 2017. This promotion is valid ALL DAYS of the week. General hotel terms and conditions apply. *KIDS STAY AND EAT FREE program is available for kids age 12 years old and under. For more details, call 633-7111 or email them at higm.reservations@ihg.com. Take advantage of Makati Diamond Residences' Rainy Day Staycation Ptomo for a urban getaway - available until September 30, 2017. Please call (02) 317-0999 or email them at reservations@makatidiamond.com for inquiries and reservations. 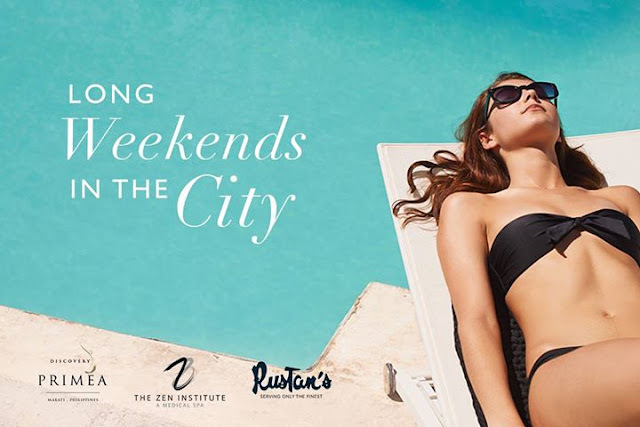 Book your Staycation at Discovery Primea, and get a complimentary Samsonite duffle bag courtesy of Rustan's and P5000 Gift Certificate from The Zen Institute a Medical Spa. Offer also comes with gourmet breakfast, WIFI, pool and gym access, and more! Rates start at P7,500 per night. Book now via discoveryprimea.com/special-offers/long-weekends-2017. Spend less time on the road and more time in the room with Makati Shangri-la Hotel's early check-in at 10 a.m. and late check-out at 4 p.m. For only P8,800 per night, little guests can enjoy their own tipi tent and complimentary kids mini bar. Indulge with breakfast buffet good for four people plus P1,200 dining credit. Plan your next staycation HERE. For inquiries, you may call Makati Shang at (632) 813-8888 or email reservations.slm@shangri-la.com. Children 12-years-old and below can share the room with parents and can join breakfast for free (maximum of two kids per room). Please call Quest Hotel at (045) 599-8000 or visit questhotelsandresorts.com/clark. For the long weekend holidays commemorating our country’s heroes, you can treat your own personal hero to a relaxing stay at Richmonde Hotel Ortigas for as low as P3,500net! Discounted rates are available on August 18 to 21 & 25 to 28, 2017 and include breakfast buffet for two persons, Wi-Fi access, and use of the Health Club’s gym, steam/sauna rooms, and heated indoor pool that lets you have an enjoyable swim, rain or shine. 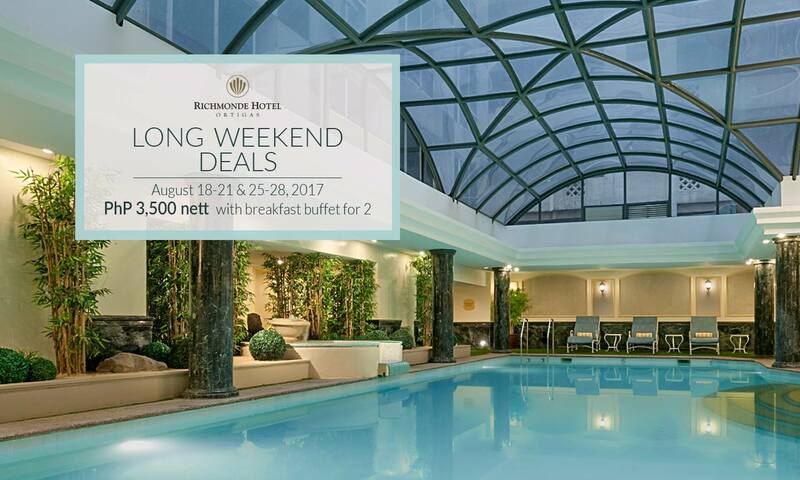 Richmonde Hotel Ortigas’ LONG WEEKEND DEALS are valid only for local residents and subject to room availability. For inquiries and reservations, call (632) 638-7777. 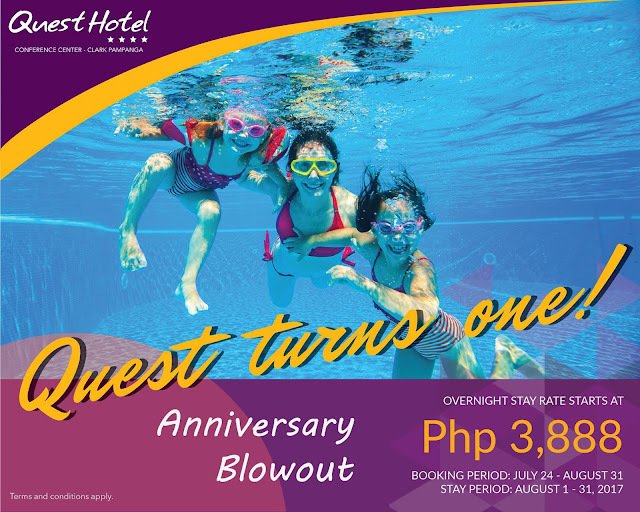 Book online at richmondehotelortigas.com.ph to get instant confirmation. 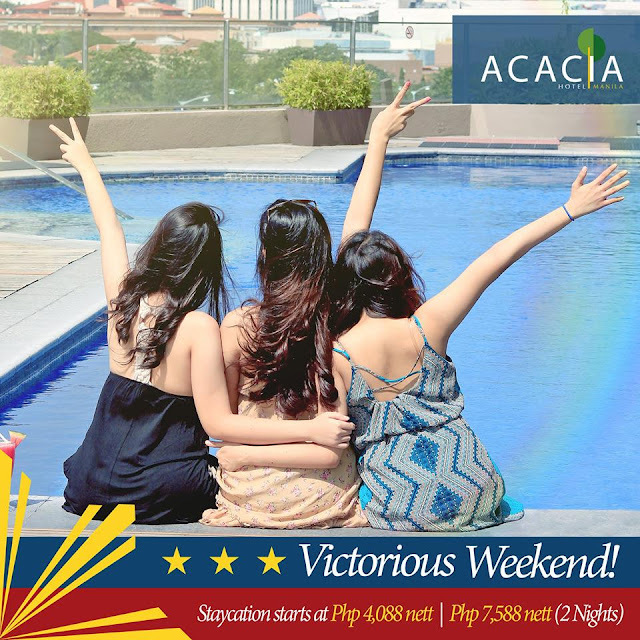 And at the end of this hectic work week, have a well-deserved staycation at Eastwood Richmonde Hotel to relax and recharge with the family, your significant other, or just your own company. Enjoy 30% discount on Eastwood Richmonde Hotel's best available rates when booking online. Valid for Friday, Saturday and Sunday stays. Stay Dates: July 1 to October 29, 2017. Inclusions: Wi-Fi access | Use of the Fitness Center’s gym and pool. 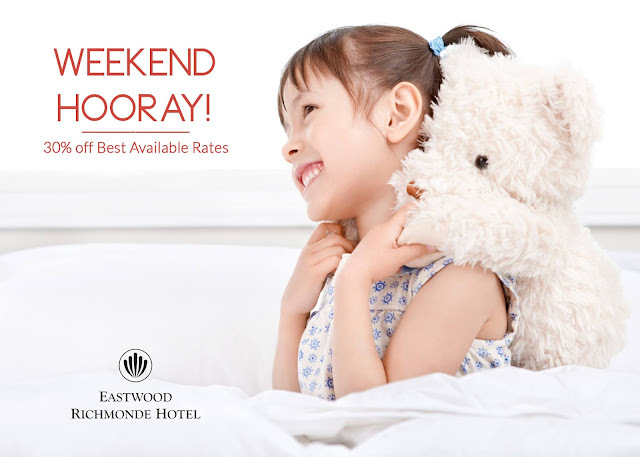 To book, go to www.eastwoodrichmondehotel.com.ph. Plan the perfect staycation with us this season with Novotel Araneta Center's Rainy Day Offer. For P4,800 nett, delight in an overnight stay with buffet breakfast for 2 adults and 2 kids ages 15 and below, plus 30 minutes indoor play time fun at the Kids Club by Novotel for your two little ones. Please call Novotel at (02) 990 7888 to reserve this deal, valid until September 3, 2017. Plan your city staycation ahead of time and SAVE as much as 15% from any of Crimson Hotel's Rain or Shine room packages! For reservations, please email alabang.reservations@crimsonhotel.com. Emerge victorious these upcoming long weekends and celebrate the #hero in you as you unwind and spend quality time with the ones you love!